goHenry helps young people learn how to earn, save and spend responsibly. 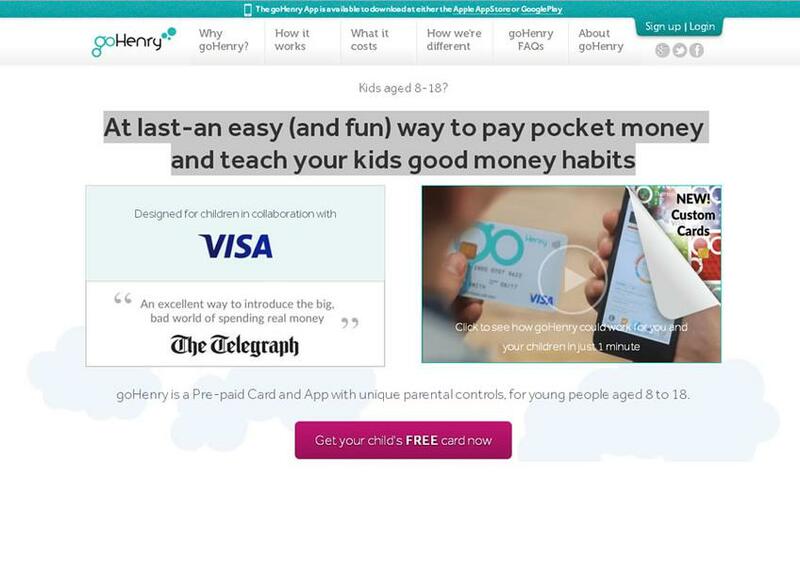 Combining web and mobile apps with a pre-paid debit card with parental controls, goHenry gives 8 to 18 year olds hands on experience of managing money within a safe environment. Parents set rules and limits, can allocate pocket money automatically or set tasks and chores for their children to earn extra money.